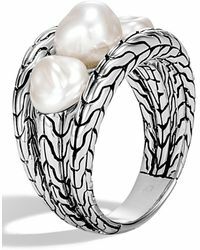 John Hardy jewelry symbolizes life’s richest human experiences and emotions, drawing inspiration from nature, ancient artistry and cultures—and a life well lived. 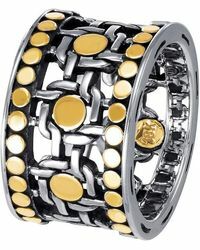 John Hardy is a luxury brand with green, responsible ethics and environmental preservation at its heart. 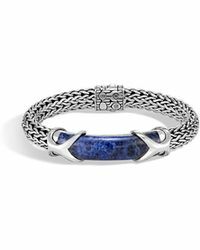 With a range of impeccably designed and crafted jewelry inspired by natural, earthy influences and a symbiosis between designer and artisan, the full collection features pieces that range from everyday cord bracelets to complex interwoven layers of finely-wrought metals and geometric earrings and cufflinks. 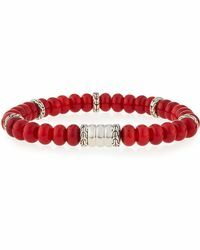 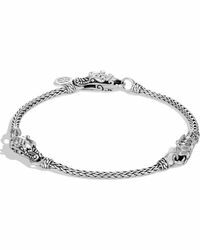 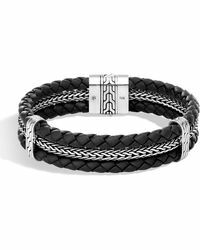 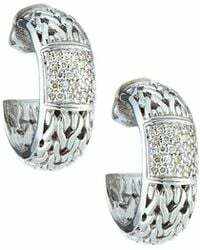 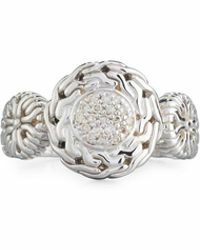 Browse and shop the full range of Women's John Hardy Jewelry as well as Men's Accessories and Men's Jewelry.